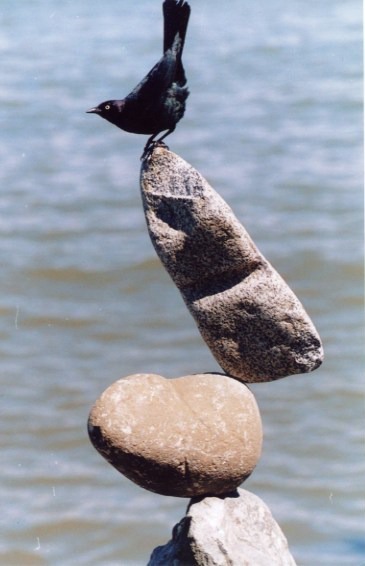 Along many coasts and harbors, blackbirds and gulls are frequent visitors to places where people congregate. They are willingly fed, and find a convenient vantage point to scan for meal opportunities. 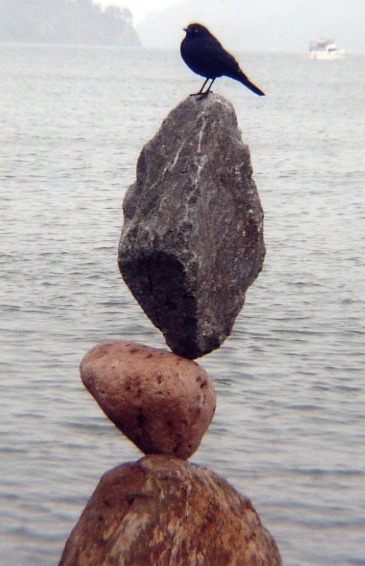 That a balanced stack of rocks may not be as permanent a perch as a wharf piling or guard rail is irrelevant to them. 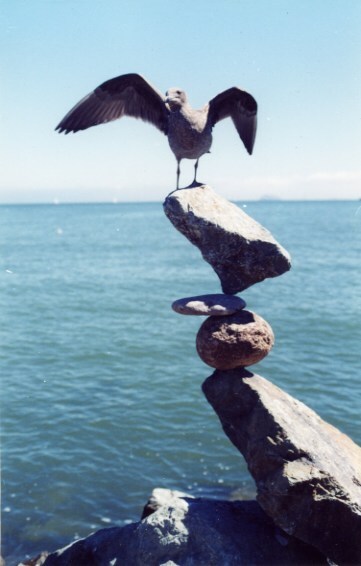 Birds are two-legged creatures like human beings, and like us they must continuously balance to stay upright. 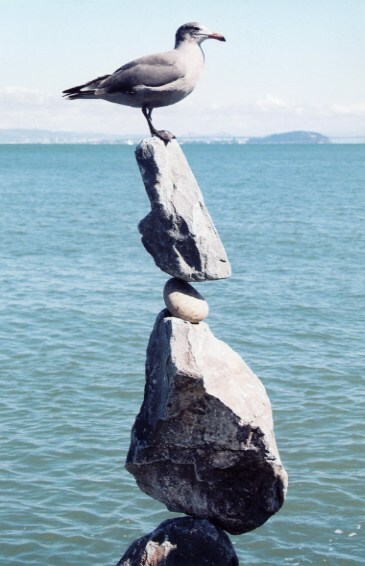 Much as a master acrobat can balance on one hand above a tower of stacked chairs, birds find little difficulty resting on a balanced stone sculpture. And they have no fear, of course, if it tumbles.